Read aloud...as much as you can. Make it a priority to read every single day. It doesn't have to be at bedtime. Morning, bathtime and mealtime work too! 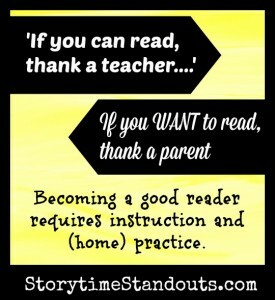 Don't compare your child's reading to that of any other child. Some children read earlier than others. It doesn't mean that they will love reading and books more than someone who reads sooner. 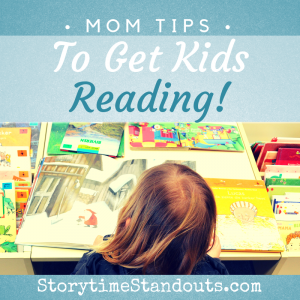 Share the reading instead of expecting your child to read everything from beginning to end. 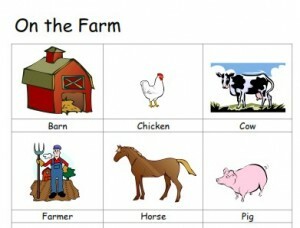 This way, you and your child will enjoy the experience and he/she won't spend too much time on figuring out the words. Reading doesn't have to mean reading books. Check out comics in the newspaper, advertising flyers, recipes, maps, posters and signs. Turn the audio off on your television and put captions on so your kids have to 'read' the dialogue to enjoy a show. 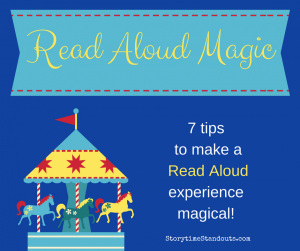 Use our 7 tips to make your child's read aloud experience enjoyable and magical for both of you! Disneyland refers to itself as, "The Happiest Place on Earth!" We think that your daily read aloud experience should be the happiest part of your day. 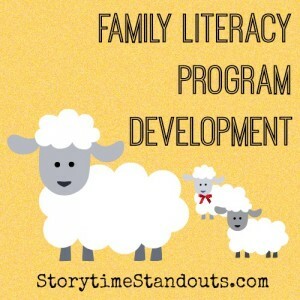 This is an opportunity to forget about work, forget about chores, forget about whatever is distracting you and make storytime an opportunity to focus just on your child. 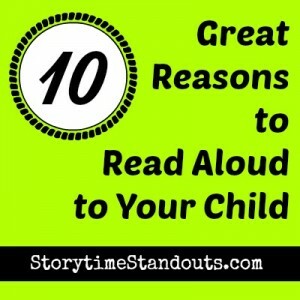 Read aloud is a time to escape into great picture books or chapter books and create wonderful memories and learning opportunities for your child. 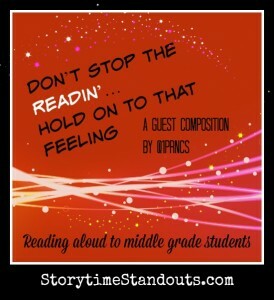 Just as you might count down the days 'til you visit a theme park, create some excitement about the read aloud experience. "What shall we read tonight?" "I can't wait for our storytime! ", "Let's borrow a HUGE pile of books from the library this weekend! 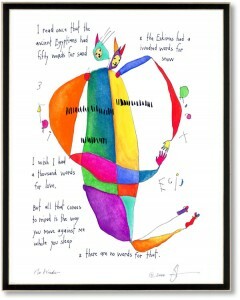 ", What kind of book would you like for your birthday?, Which books shall we take on our holiday? Just as it is fun to go on the same ride more than once, it also completely fine to read the same book more than once! Each time you read aloud, children are learning new vocabulary, they are gaining phonemic awareness and exploring new ideas and new themes. Don't worry if they want to hear the same book over and over again. They are still benefiting from the experience and enjoying the time with you! The best theme park rides immerse the riders in the experience! We want to do the same when we read aloud. 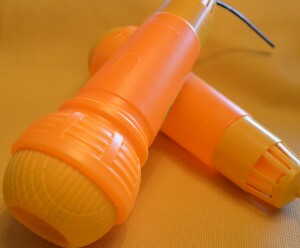 Use silly, giggling voices, stern, authoritative voices. Use high-pitched squeaky voices and low-pitched growls. Act out part of the story along with your child! Build a special fort and read inside it! Turn out the lights and read with a flashlight or read while streched out on a picnic blanket. Some days I'm more "quirky" than others. This is one of those days. Instead of just telling you that your middle grade children (grades 4, 5, 6, 7) are not too old for you to keep up that nightly ritual of reading, I've made some alterations to a classic Journey song. You can laugh or roll your eyes, but the message will be the same. They're getting older, but it doesn't lessen their enthusiasm for books. Nor does it mean they don't need us there to help them navigate some of the issues that their favourite characters are facing. Bottom line? Take fifteen minutes at the end of the night, curl up on someone's bed, and keep reading. Most teachers and parents are glued to the news and various forms of social media, hoping to hear the news that public schools will be back in session on Tuesday, or at the very least, next week. It's been a longer summer than we're used to and it started under less than ideal conditions. I don't know one teacher who isn't sad about the quick way we had to say goodbye to our classes in June. But alas, all this stuff makes us stronger, right? We'll see. In a typical summer, your child's reading level will probably lower. This summer, because of it's length, this is even more likely. It happens: later bedtimes, fun activities, and vacations change the routine that many of us have established through the school year. 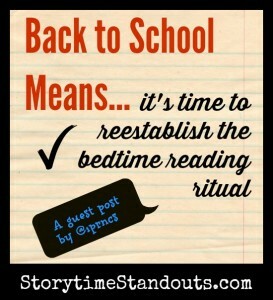 When we get back to school, we spend those first weeks reestablishing routines, both at school and at home. I can't honestly put into words how very much I want (NEED) school to go back next week, but while we're waiting, we can slowly start pushing ourselves and our children back into those old habits. Getting to bed earlier, what used to be "on time", is important. I'm not very good at this one, myself. I figure that the first week of having to get up at six thirty will curb my tendency to stay up until one a.m. For our kids though, it's nice to ease them into it. This last week or so, we've been getting home earlier if we're out, sending the kids to get ready closer to their usual time. The main reason for this is to reestablish the bedtime reading ritual. Throughout the school year, this is one we try to hold onto tightly. The fifteen to thirty minutes with each of the girls at the end of the night is just as important to my husband and I as it is to them. Somehow, being told that it's time to go up and read causes less confrontation that it's time to go up to bed. One of the best things you can do for your child, regardless of whether school goes back, is get this routine going again. Get them excited about books, about reading. Maybe pick out a special book at the library or bookstore to get you back into things. 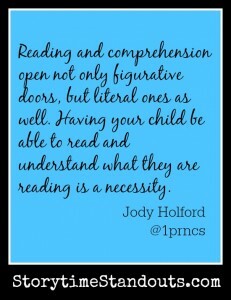 Students reading every night plays a huge role in their fluency and comprehension. Whether you're reading to them or they are reading to you, this is a time that can result in great conversations with your kids. Why would the main character do that? Would YOU do that? What might you have done? My youngest likes to read to us but my oldest likes to be read to. Children (okay, people) are never too old to be read to. Just because your child is going into an upper grade, doesn't mean that quality reading time has to stop. In fact, it might even be more important. When they're little, children are your shadow. But when they get older, they start to turn into themselves more, or to friends. That reading time at the end of the day is your chance to connect. We know how busy the days are, with school, work, activities, more activities. 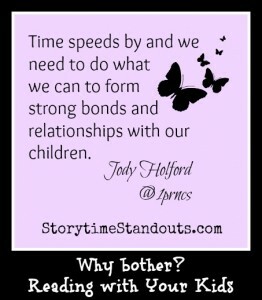 Building that constant into your schedule, keeping it that way, will allow for a time when your child can open up to you, if they want. They'll know that at the end of every day, you're checking in with them. Maybe they don't want to open up about what boy they like or the mean girl at school, but they'll know that you'll be there and they can listen to your voice or that you'll listen to them. There's comfort in that. Our children take comfort in routine and whether school is back or not, it's time for us to get back to it. Good luck with the first day, whenever it is. Since September 2013, I have been working twice a week with a four year old boy who has delayed speech. He lives in a bilingual household and he has one older sibling - a girl who also had delayed speech. It has been enormously rewarding to help this child find his voice. He is unfailingly happy and is always excited to welcome me and my "bag of tricks" into his home. 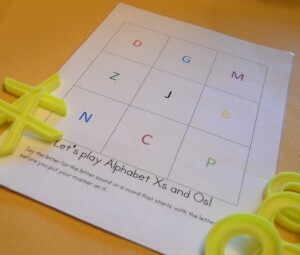 At almost every one of our sessions, my student has touched, lifted flaps and pulled the tabs of this cheerful and engaging alphabet book and accompanying (pop up) poster. Whether feeling the alligator's scaly tail or the yak's shaggy head, this is a book that children love to explore through touch. 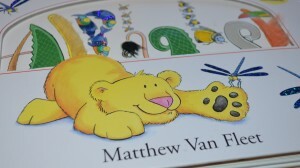 Phonemic awareness is also supported as the author effectively uses alliteration, 'Wet waddling Warthogs,' rhyming and onomatopoeia, 'Furry Lions roar, Whiskered Mice squeak, Hungry newborn Nightingales - cheep, cheep, cheep!' while introducing a variety of animals. 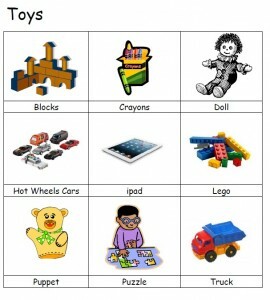 Older children will notice that extra details have been added to the illustrations but not the text. Termed, Safari Sightings, these animals and plants are illustrated and listed in an afternote. 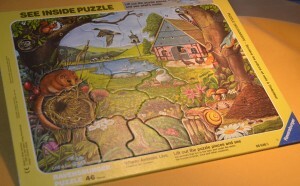 I can't tell you how many times we have solved this Ravensburger See Inside Puzzle together. My young student happily turns the puzzle upside down, and together we turn all the puzzle pieces over. We chat as we start with the corners and work towards the middle of the puzzle. There are so many ways to enrich a child's vocabulary, understanding and problem solving as we talk about the puzzle pieces and their attributes while noticing the plants, insects, animals, birds and structures featured in the puzzle itself. When your child is sensitive to artificial food dyes, you read every label. You watch for terms like "Yellow No. 5", "Allura Red" and "Annatto." You have a mental list of foods that are "safe" and you check new products with suspicion. 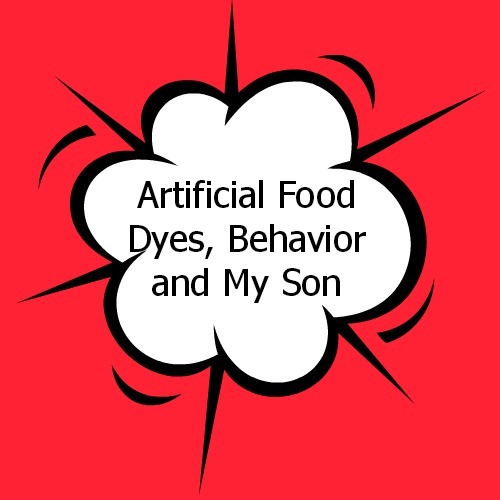 You live in hope that food manufacturers will come to understand that consumers care about this issue and there would be a competitive advantage to those companies that vow to avoid dyes. This made it even more tempting to just say goodnight and get to the quiet time early. We could probably convince our seven year old to read to herself too in exchange for being allowed to stay up later, reading in her room. So why do we bother reading aloud to our kids? Even, or maybe especially, in the summer when we feel lazy and carefree? Kevin's dad's approach to bullying is perfect. He remains calm, he doesn't intervene, he encourages Kevin to think logically and he empowers Kevin to solve the bullying problem himself. 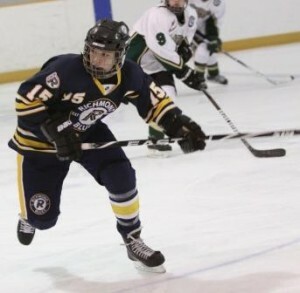 My youngest son has tried out for rep hockey for the past seven seasons. 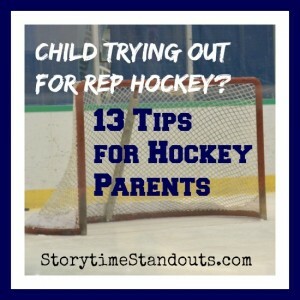 Here are my suggestions for families who are already thinking ahead to rep hockey tryouts. 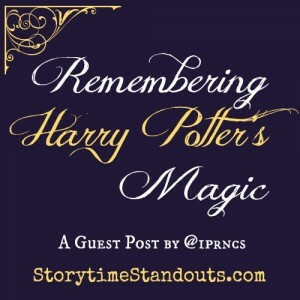 Now, as I reread Harry Potter with my daughter, I'm remembering all of the things I loved about the series. About five years ago, I managed to figure out what was "wrong" with my youngest son. Some of the time he was a happy, relatively polite, relatively well-behaved, active kid but (and this was a huge issue), some of the time he was unpleasant, miserable and defiant. We were at a loss to understand what was happening with him. Finding things in common with our kids (and students) is extremely important. They live in a fast-paced world of texting, Facebook, and instant messages. They are "connected" in ways that we never were. 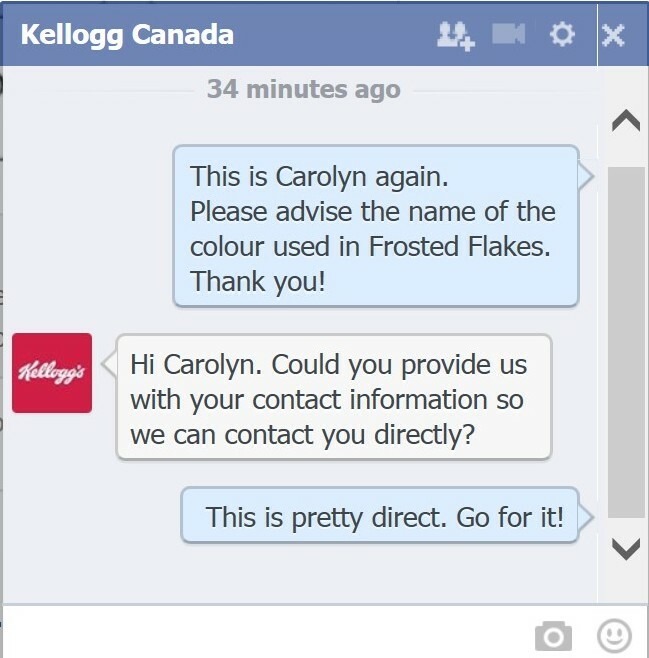 We need to jump on the opportunities to share meaningful conversations with them whenever we can. 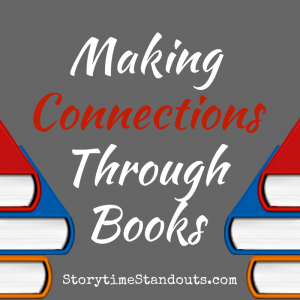 Taking an interest in what your kids are reading can be a way to start these conversations. As a want-to-be writer, I find it fascinating that some authors can slip back and forth between genres and age groups. It shows a wide range of talent when an author produces a best selling thriller and then follows it up with a highly entertaining graphic novel. James Patterson and John Grisham are powerful examples of authors who show this flexibility on a regular basis. What really shows their strength as writers, however, is that the books they write for their younger audiences are so appealing to adults as well. 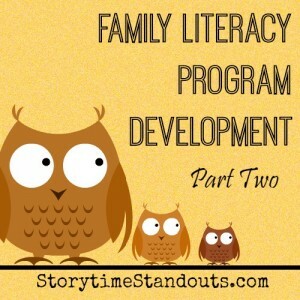 Aside from providing more great reading material, authors such as these are also providing a unique way for parents (or teachers) and children (or students) to connect. Patterson’s latest young adult novel is Middle School, The Worst Years of My Life. The quick and fun chapters, along with the sketch graphics and the humor of two friends trying to get through their first year of middle school make it a great read. I laughed out loud at parts, remembering my own middle school days. 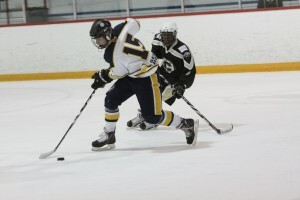 While it connects with many of the students in the upper elementary grades, it definitely reaches out to boys. Finding things in common with our kids (and students) is extremely important. They live in a fast-paced world of texting, Facebook, and instant messages. They are “connected” in ways that we never were. We need to jump on the opportunities to share meaningful conversations with them whenever we can. 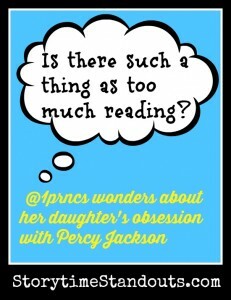 Taking an interest in what your kids are reading can be a way to start these conversations. I had a Teacher on Call come in for me last week for a half day. I showed up right before the lunch bell and we were discussing how the morning went. I asked about a few students in particular and she made a comment that got me to thinking about this post: she had brought in the book The Mocking Jay, the third in the Hunger Games trilogy, so that she could read it while waiting for a friend after work. When a few of the students noticed she had it, they began asking her whether she liked it, had she finished it, did she like the others. The fact that she was reading a book that many of them are absorbed in right now created an instant connection, which is not always easy to do as a teacher on call. Kids always find it a bit surprising when they realize that you may enjoy some of the same things they do. I have had wonderful conversations about Harry Potter, Holes, Twilight, Hunger Games, and a variety of other books that kids are hooked on. My enthusiasm is real and the kids respond to that. They want to know what you think, what you liked, and if you got to a certain part yet. 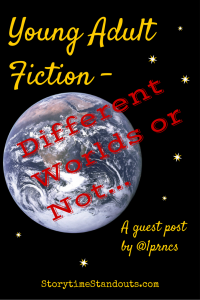 I tell the kids how I feel about the books that we have in common and they feel open to sharing their thoughts. My class knows that even though I really liked Hunger Games, I stopped reading the trilogy because, for me, it was too sad. We ended up having a conversation about what makes us put down a book, what makes us go back to it, or what makes it so we absolutely cannot put it down. I believe that connecting with kids strengthens our relationships with them and makes teaching them more successful. Try reading something your child is reading; aside from connecting with your child, you’ll likely find yourself reading a great book as well. Reading aloud to my sons has been one of the highlights of being a parent. My boys are both teens now and have pretty much outgrown picture books (Christmas Eve is always an exception) but shared memories of trips to the library and hundreds of great bedtime stories read aloud will remain with us forever. Having said that, reading a couple of bedtime stories aloud, every night for seven or eight years is hard work. There were definitely nights where I would have happily ‘skipped’ and had a little more time to myself. I clearly remember, on more than one occasion, my younger son being wide awake at his bedtime while I was falling asleep as I attempted to read aloud to him. He would say, “Mommy, your voice sounds really strange.” I would rouse myself enough to finish the story and then head off to my own bed. 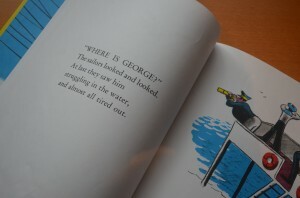 Curious George written and illustrated by H.A. Rey shows us that bold, uppercase letters mean the words are loud. When we read aloud to children, they (1) get to know books. They learn that books have front covers and back covers. The covers can be hard or soft/flexible. Books have spines and sometimes they wear jackets. Sharing stories with children also helps them learn (2) how to hold and manipulate a book. When we read aloud to children, they discover how a book “works.” They come to understand that a book written in English is read from front to back and that we (gently) turn the pages as the story unfolds. They discover that, if we want, we can go back and reread a page, we can also skip a page. 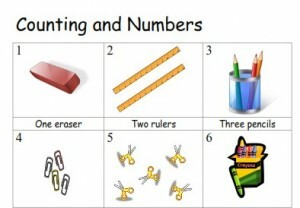 Occasionally running a finger along the printed text will also help children learn that (3) pages are read from top to bottom and the text is read from left to right. 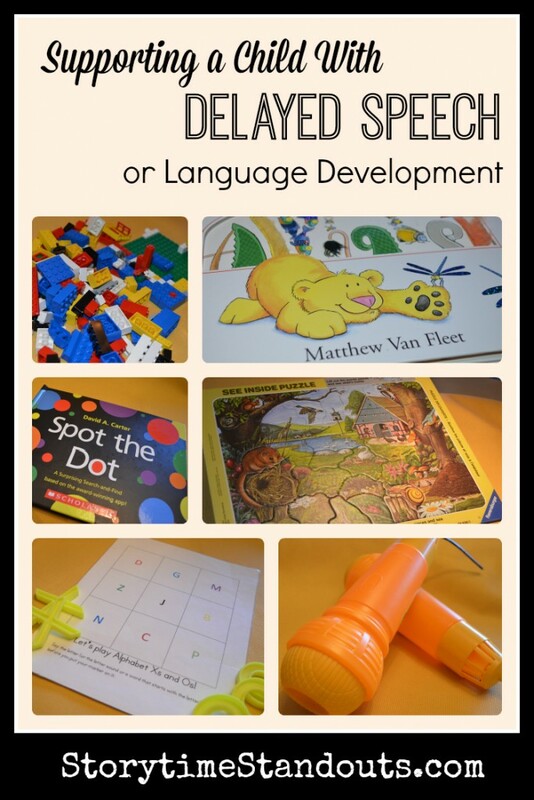 With a little help from us, children will discover that bold words are often important to the story and usually we think of bold words or words shown in uppercase letters as LOUD WORDS. If we read lift the flap books or pop up books, children will learn that (4) sometimes books have flaps or other features that hide the solution to a riddle or some other surprise. 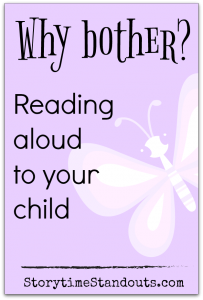 Reading aloud also exposes children to the (5) beauty and richness of our language. 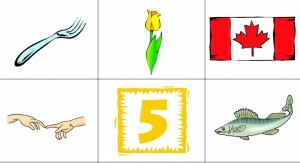 Children will also gain (6)phonemic awareness as they discover how to play with words and sounds through rhyming and alliteration. Hearing a selection of books gives children an understanding of (9) what a story is , how a fairy tale is different from a fable and how tall tales exaggerate. Hearing picture books read aloud can also enable children to (10) safely explore worrisome or difficult topics like going to the hospital or coping with illness, disability, bullying, or even the death of a loved one while safe in a loving and comfortable environment. 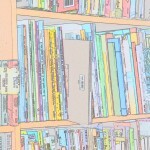 This year I am determined to find the best way to organize my personal library. At the same time, I hope to "weed out" a few titles. After all, there is only so much space I can devote to picture books. This year I am determined to find the best way to organize my personal library. At the same time, I hope to “weed out” a few titles. After all, there is only so much space I can devote to picture books – especially as my boys are now fourteen and sixteen. But going on a “book diet” is no easier than reducing carbs or eating low fat. Most every book I pick up has a memory attached or has some redeeming qualities: I love the illustrations or the narrative promotes diversity and acceptance, the animals are charming or funny, the rhyme is clever or the lesson imparted is an important one. After careful consideration, I finally think I have arrived at the perfect measuring stick for picture books: ‘Will I want to read this book to my grandchild?” Of course, grandchildren are unlikely for the foreseeable future so the books that are permitted to “stay” need to have a timeless quality. Also, since I have no idea whether my grandchild will be a boy or girl, I will have to keep books for boys and books for girls as well as those that appeal to both. Since I don’t know whether my grandchild will be an only child or one of many, books about family life and siblings are definite “must haves.” Anything, anything that hints at a loving relationship between grandparent and grandchild will definitely stay. Of course, this sounds really quite well organized but it fails to include the various “piles” that dominate my office floor, waiting to be read. It also ignores my “workshop” books which are always “at the ready” in easy-to-transport Rubbermaid totes. This month, I am hoping to reread about one hundred of the picture books and decide which of them should stay on the picture book shelf but, then again, maybe I ought to tackle one of the “piles.” At least the former books are currently on a shelf! 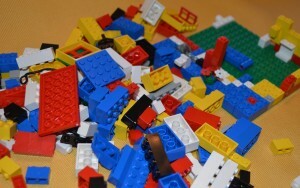 If I deal with a “pile,” I will have more floorspace and will feel just a tiny bit better about my ability to organize. I might actually “reduce” my library footprint. 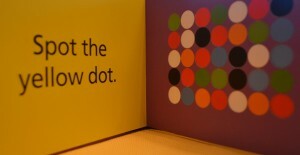 Stay tuned as I work on this project throughout 2012 and post about it monthly.